The following guest blog post was written by John Fisher, a dentist in Salem, Mass. and a former president of the Massachusetts Dental Society. He shares his firsthand experiences of seeing the powerful, positive impact of community water fluoridation, a health practice that began 70 years ago this month in a Michigan city. Community water fluoridation is personal to me. When I first opened my family practice in 1975, I was fresh out of the army, and I was teaching at Boston University School of Dentistry. I was mostly seeing patients on evenings and Saturdays, and I was not totally conscious of which towns had fluoridated water and which ones did not. Quite frankly, I thought of Massachusetts as a progressive state, and I assumed that all of our communities were fluoridated. After all, why wouldn’t they be? The scientific evidence confirms the safety and benefits of water fluoridation. I went to dental school at Temple University in Philadelphia — a city that had been fluoridated since the 1950s. It was surprisingly difficult to find children with decayed teeth to satisfy my educational requirements for Temple’s dental clinic. In fluoridated Salem, Mass., my experience was much the same as it had been in Philadelphia. However, in the neighboring, non-fluoridated Massachusetts towns of Marblehead, Swampscott and Lynn, this was not the case. In some instances, the amount of decay was so overwhelming that I did not feel confident attempting to treat those patients. A few years went by, all of these neighboring communities became optimally fluoridated, and I only saw decay that was manageable. We still see decay, but not to the same level that we had seen it. 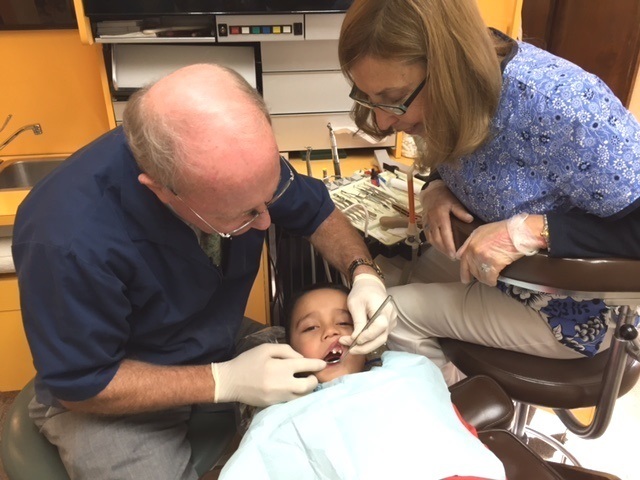 My practice grew, I went on with my life, my two daughters grew up, and my wife and I volunteered on a mobile dental program, providing free care to children of low-income families. We visited Lynn, where we treated many young children and found the experience rewarding. But we were shocked one day when we ended up in a community without fluoridated water. The decay we saw there was so extensive and far advanced that many of these teeth had to be extracted. It was as if someone had used a time machine to take us decades into the past. No child should have to endure decay where a fluoridated water supply could have strengthened her teeth. Fluoridation saves everyone money by preventing the disease so we have to treat the disease less often. Prevention takes many forms. Brushing regularly is important, and so is avoiding soda and sweets. But communities that do not fluoridate their water supply are not exercising their responsibility. In the army, it’s called “dereliction of duty” when someone has willfully refused to perform his or her rightful duties. Communities that neglect to fluoridate their drinking water are also derelict.